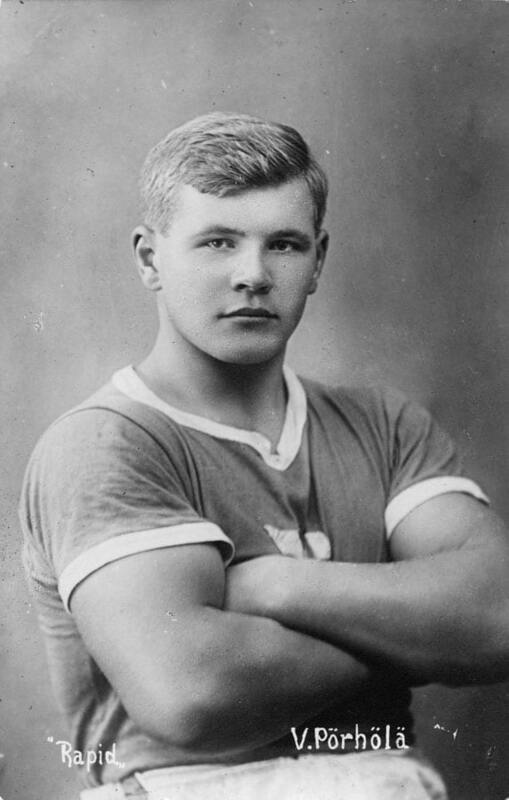 Ville Pörhölä won Olympic medals in two different athletic field sports. In Antwerp 1920 Ville Pörhölä defeated his older compatriot Elmer Niklander and all American favourites to win Olympic gold in shot put. Back pains forced him to retire from shot putting but a few years later he made a comeback to athletics as a hammer thrower. In 1932 Pörhölä took silver in his new event at the Los Angeles Olympic Games. Two years later he won gold at the first European Championships in Turin, Italy. Pörhölä hailed from Tornio on the border between Finland and Sweden. In 1952 in a ceremony in his home town he united the two Olympic flames bound for the Olympic Games in Helsinki: one lit in Greece and carried to Finland through Sweden and another one lit from rays of the midnight sun in Finnish Lapland.